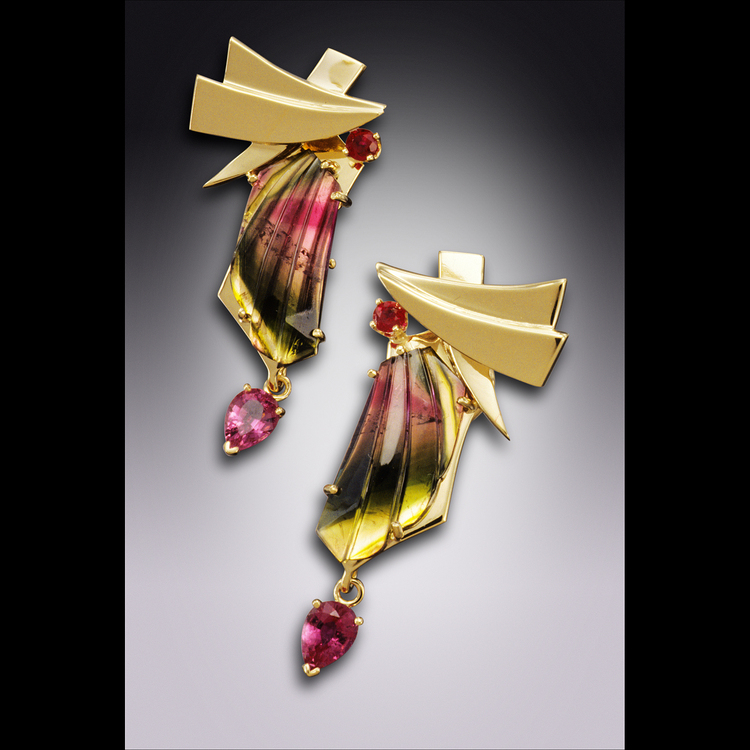 Joan Michlin creates award-winning fine art jewelry pieces called ‘Art Boxes’ using sterling silver, 14 & 22 K gold, diamonds, Boulder opals and a variety of colorful gemstones. She releases three or four batches of new designs throughout the year, amounting to 150 new pieces per year. Her pieces, sometimes referred to as “wearable sculpture” spring from her love of architecture, Art Deco designs and the natural world. Her pieces are designed to retain their appeal for generations to come. Joan’s work is featured in prominent museums around the world. Each item comes with an appraised value, a certificate of authenticity, warranty, artist signature and copyright.